With an increasingly strict regulatory environment, evolving consumer expectation and rapidly changing student demographic, it’s no secret that today’s post-secondary education faces challenges. Many school react to declining numbers by throwing money at the problem – i.e. more marketing will mean better recruiting. Gregg, Shane and Martin challenge that idea, and propose alternative solutions. During the webinar, presenters reveal the statistics-based enrollment techniques used by successful for-profit schools that you can use to improve your admissions efficiency. 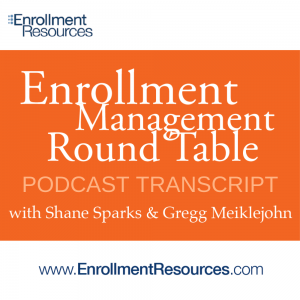 Check out Podcast #22: “Better Recruiting To Save Your School” to learn helpful education marketing strategies. With 1 click you’ll have access to over 30 podcasts featuring industry insiders sharing their wisdom to you – for free! On June 7th, 2012 Gregg Meiklejohn of Enrollment Resources moderated a Panel Discussion of Private Post-Secondary leaders to explore Disruptors in Higher Education and what top performing schools are doing to adapt. Martin Lind, Education Vertical Manager with Leads 360, Inc. 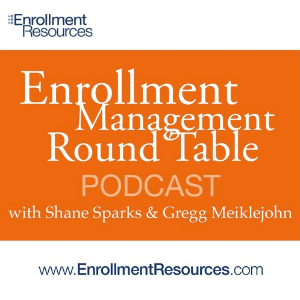 The discussion covers topics like the general contraction of Government supported student loan funding, the elimination of incentive compensation for Admissions reps, attempts by governments to prop public education,online PPC marketing trends and more.